The 56,000 acre Loisaba Conservancy lies in the remote north-western corner of Laikipia, and is a joint venture between The Nature Conservancy and the surrounding Samburu and Maasai communities. This rugged wilderness, bordering the vast hinterland of the Samburu District, conserves a critical migration corridor for elephants, lions, and other large mammals. Situated at the intersection of two ecosystems, Loisaba features a diverse array of habitat types and wildlife from the arid north as well as the grasslands of the Laikipia Plateau. 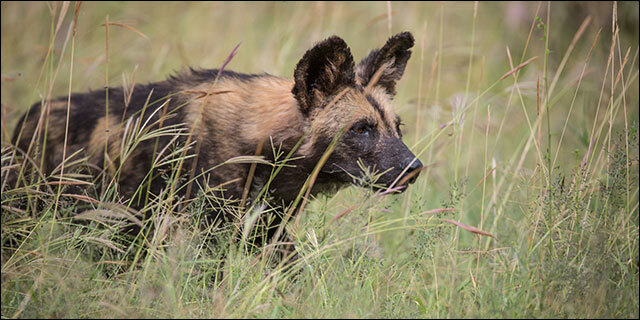 Species diversity is the highlight, including northern rarities such as reticulated giraffe, Grevy’s zebra, gerenuk, and Beisa oryx; there is even a chance of seeing the highly endangered African wild dog. 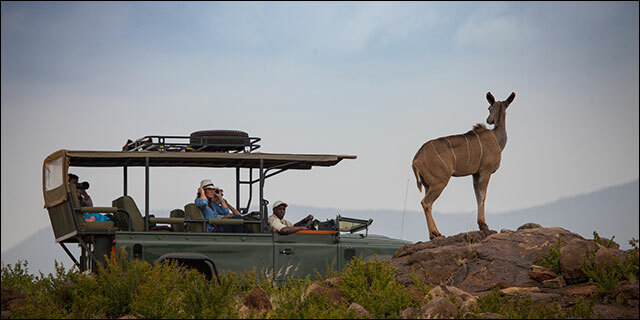 Guests on the Conservancy are offered a wide range of activity options by which to explore Loisaba’s wilderness and encounter its wildlife. Day and night game-drives are the mainstay, wonderfully complemented by walking safaris, horse-back riding, mountain biking, and even camel trekking – camels are widely used by the nomadic pastoralists of northern Kenya, and are the ideal platform for exploring this dusty, untamed wilderness. Visits to the neighboring Samburu community provide a fascinating insight into the nomadic lifestyle of this highly traditional cultural group. Perched on the edge of an escarpment, Loisaba Tented Camp boasts dramatic views across the semi-arid plains of the Laikipia plateau to snow-capped Mt. Kenya. Designed in a sophisticated African style, its twelve spacious and airy tents are custom-built with large floor-to-ceiling doors and windows, lofty ceilings, gleaming wood floors and wide private decks. En suite bathrooms are luxurious, with a solar-heated rainfall shower. The inviting common areas of Loisaba Tented Camp include a large open dining room, separate sitting room and bar, a large wooden deck for al fresco dining and an infinity pool with stunning panoramic views. The Star Beds at Loisaba are a unique concept offering the luxurious adventure of sleeping under the endless African night sky – the “biggest bedroom in the world.” The hand-crafted four poster beds are set on three platforms nestled amongst a kopje of rocks overlooking the active Kiboko Waterhole. Because the beds are set on wheels, they can be easily positioned outdoors or under shelter, as preference dictates. En suite bathrooms are creatively designed around existing natural rock features, and feature a shower-with-a-view. Main areas include a sitting room with a log fire decorated in traditional African style, and a verandah for dining and enjoying the view. Guests are hosted at the Star Beds by a team of traditional Samburu and Laikipiak Maasai warriors. The Loisaba Conservancy is a place of wild beauty, discovery, elegance, and adventure, a sophisticated base from which to explore one of Kenya’s most untrammeled wildlife destinations and learn about one of its most impressive conservation projects. It offers an experience that is simultaneously visceral and intellectual, fostering an almost unrivalled understanding of the challenges and opportunities facing wildlife and rural communities in East Africa. 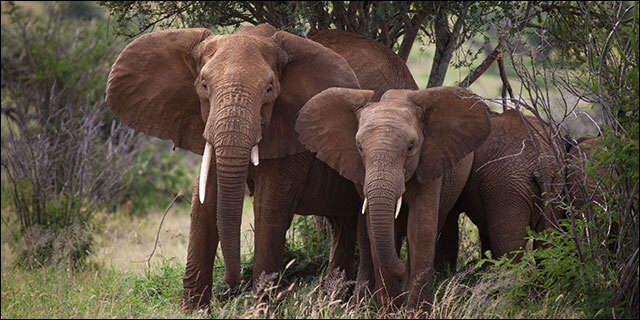 Recently purchased by The Nature Conservancy and partnered with Space for Giants elephant foundation, Loisaba Conservancy, a functioning ranch, is a success story of conservation. Home to elephant, a healthy population of lion, the rare wild dog and an abundance of other species, Loisaba is a prime example of successful collaboration between conservation, communities, ranching and tourism.